[Barcelona, Spain, February 27, 2018] Huawei has launched AUTIN, an Operations Consulting and Software as a Service (SaaS) solution for Digitized Operations Services to help operators manage complex hybrid ICT environments. AUTIN delivers AUTomation and INtelligence to modernize and reshape operations for the digital era. Building on its award-winning Operation Web Services (OWS), Huawei new AUTIN brand is introducing new functionality and machine learning for intelligent operations. AUTIN leverages big data and AI to help operators move from a reactive to more proactive and predictive operations. The solution is vendor and technology agnostic and can manage multiple technologies and services in a constantly changing environment. 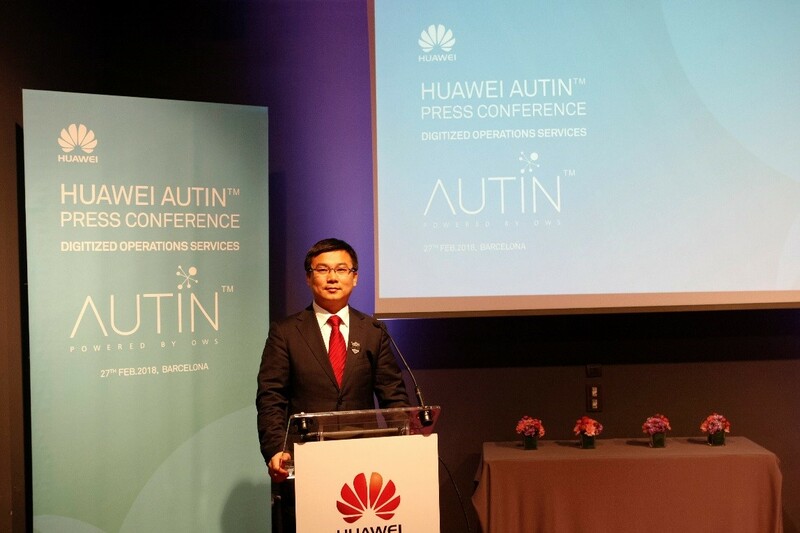 David Shen, Director of Assurance and Managed Services (AMS) at Huawei, unveiled AUTIN. AUTIN encompasses the following applications: workforce and service desk management, operations intelligence, fault management and automatic alarm behavior discovery. All come pre-integrated. One unique differentiator of AUTIN is that it enables operational staff to build APPs to automate daily tasks. AUTIN provides access to over 900 APPs which deliver Huawei’s best practices in various areas of operations. AUTIN comes in a flexible configuration that allows operators to select which applications and APPs they need to meet their operational requirements. The full capabilities of AUTIN will be demonstrated at Mobile World Congress. Embodied in AUTIN are Huawei’s accumulated knowledge, experience, innovations and best practices of managing over 160 global operations. AUTIN accelerates the journey for an operator to achieve the goal of becoming a Digital Service Provider. It brings innovative ideas from other industries such as the internet world to help operators evolve from siloed operations with high levels of repetitive manual processes to autonomous operations. This is underpinned by an digital workforce that is reskilled with a new culture and mindset capable of using a digital platform powered by analytics and machine learning. A study by Ovum notes that over 60% of operators have too many silo OSS systems that make it difficult or impossible to meet the needs of the digital era. Some 70% lack centralized data sources and 60% lack an end-to-end view of operations. According to Analysys Mason, the telecommunications industry is at a major tipping point; as operators embark on important digital transformation initiatives, with NFV/SDN, IoT and 5G still to come, current operational models and economics do not help achieve the benefits of these strategic transformation initiatives. Operators need a future-proof software driven operations model that can not only support today’s physical networks, but also adapt as the infrastructure transitions to hybrid and virtual networks. MWC 2018 runs from February 26 to March 1 in Barcelona, Spain. Huawei is showcasing its products and solutions at booth 1J50 in Fira Gran Via Hall 1, booth 3I30 in Hall 3, and the Innovation City zone in Hall 4. For more information, please visit http://www.huawei.com/mwc2018/.